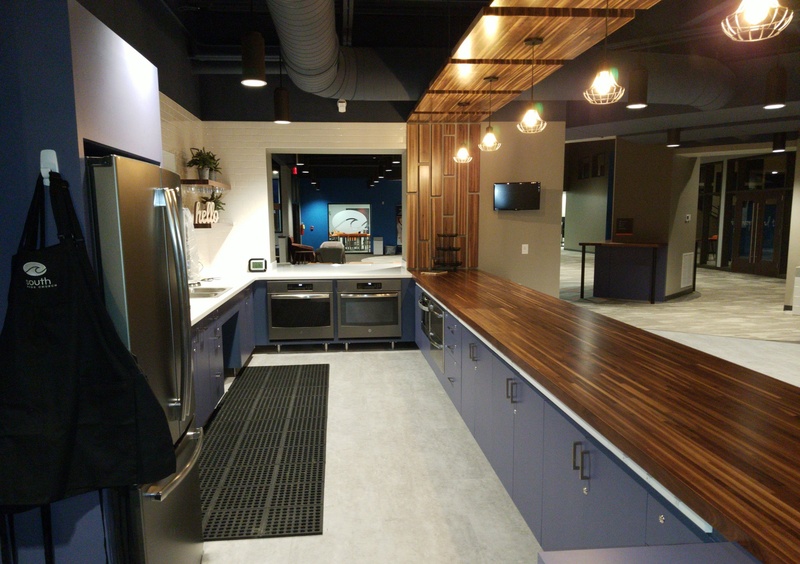 Overall square footage renovated: 21,200 sq. 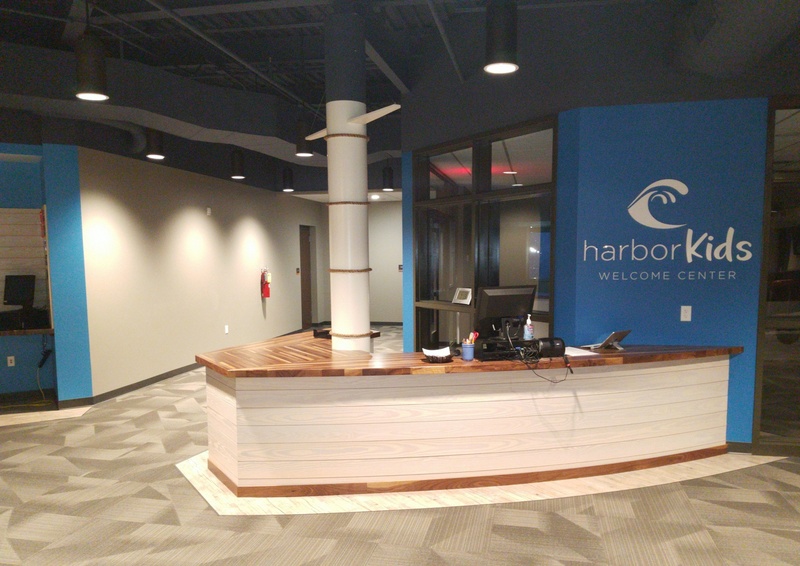 ft.
South Harbor Church, one of five Harbor Churches in the Grand Rapids, MI, area, was planted in 2011 with a vision to be both a sanctuary for Sunday worshippers and a sending center—a place where new leaders could be trained and sent out to plant more churches throughout the region. 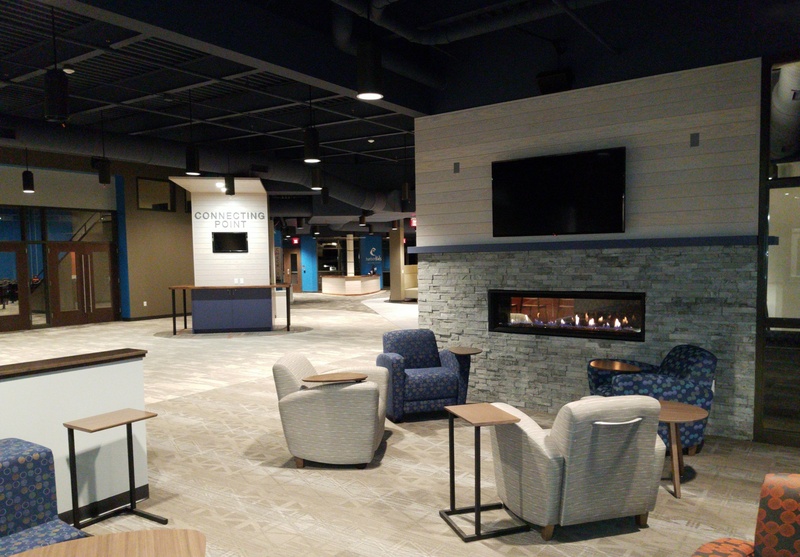 The facility, however, didn’t adequately support the church’s vision or allow them to effectively operate as a connecting and equipping place, especially after years of steady growth, and the building itself was outdated. 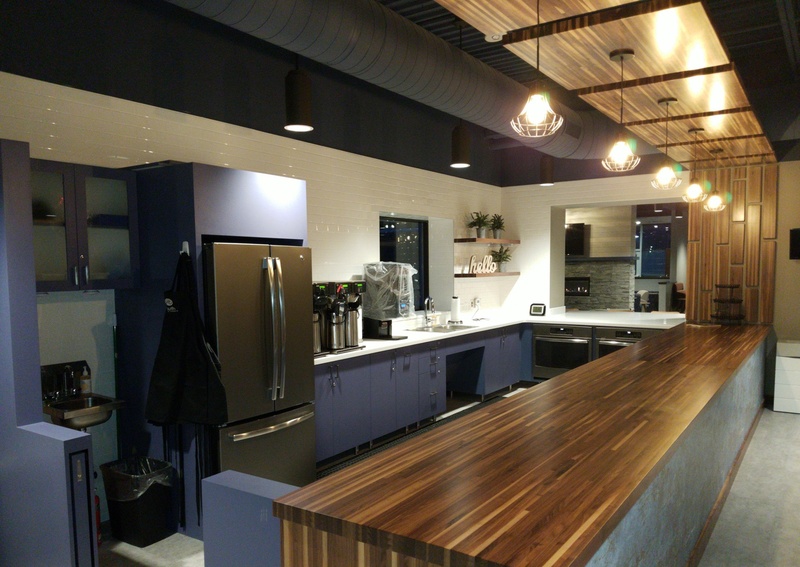 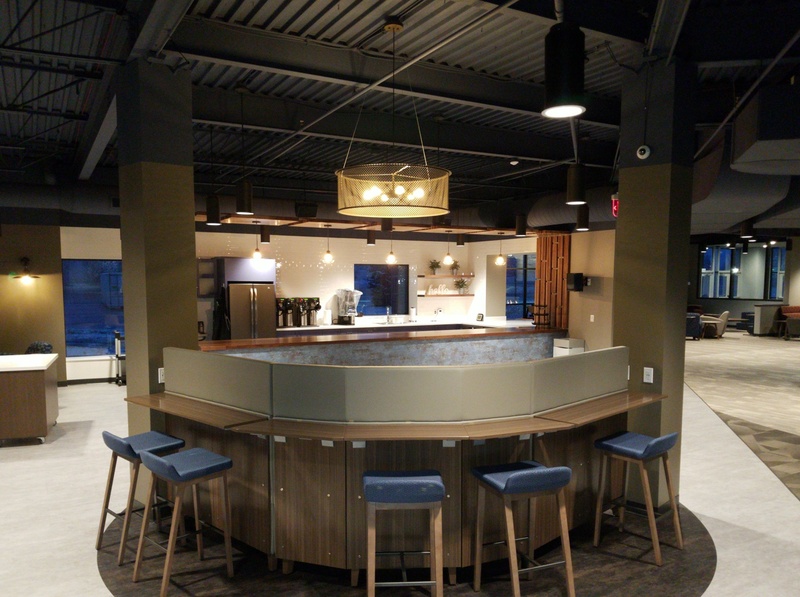 In 2018, South Harbor embarked on a major renovation and expansion with Aspen Group to address these problems. 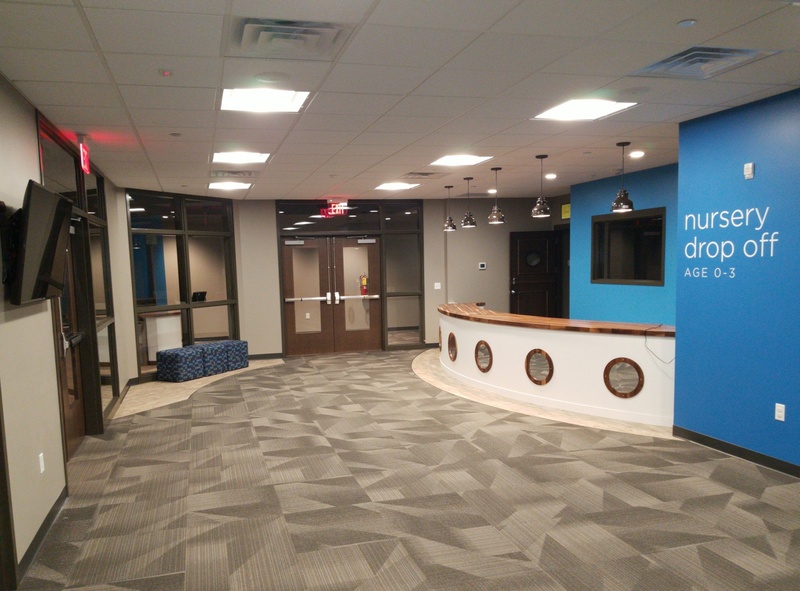 A new front entry and expanded lobby were added to the building. 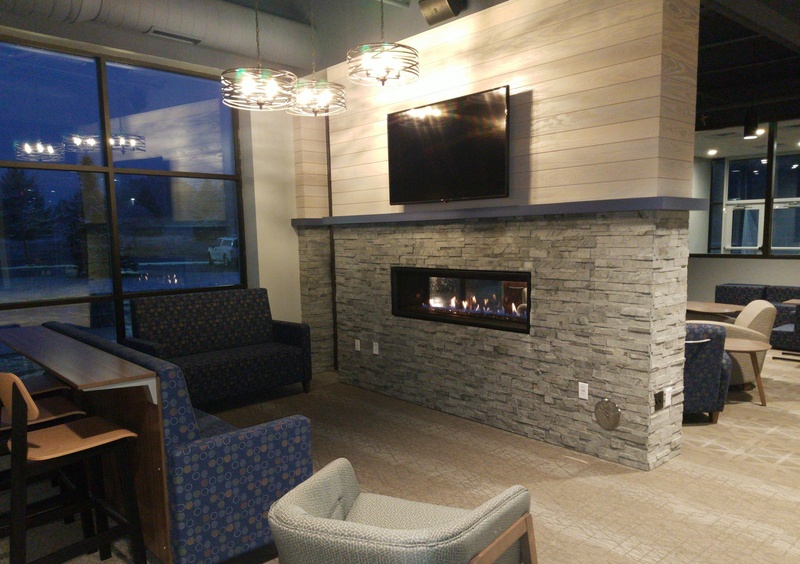 The lobby features a double-sided fireplace, a new coffee bar and seating areas, which creates an inviting setting for Sunday conversations, as well as space for midweek social gatherings and meetings. 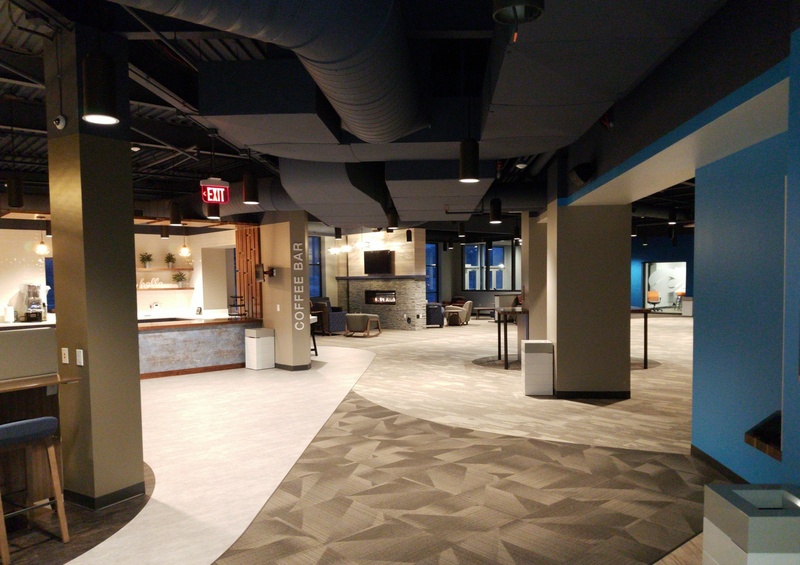 Administration space was relocated and linked with a new Connecting Point for a centralized spot for newcomers to get to know the church. 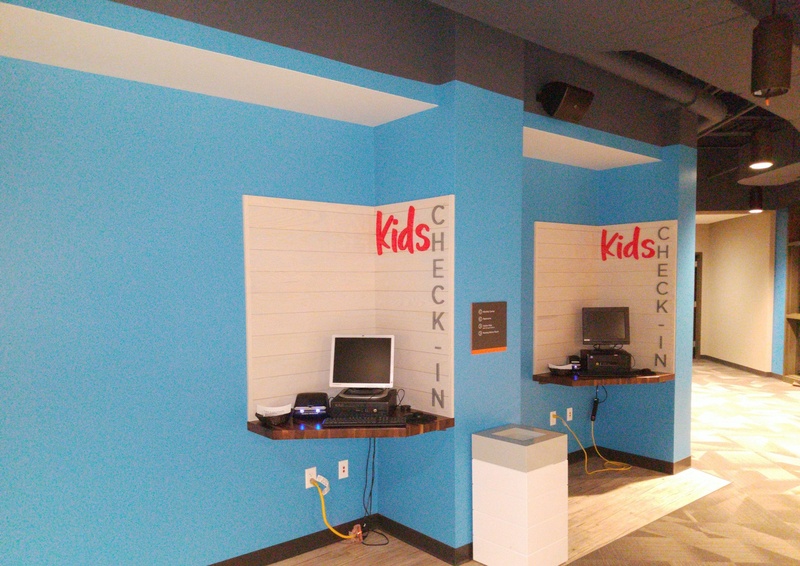 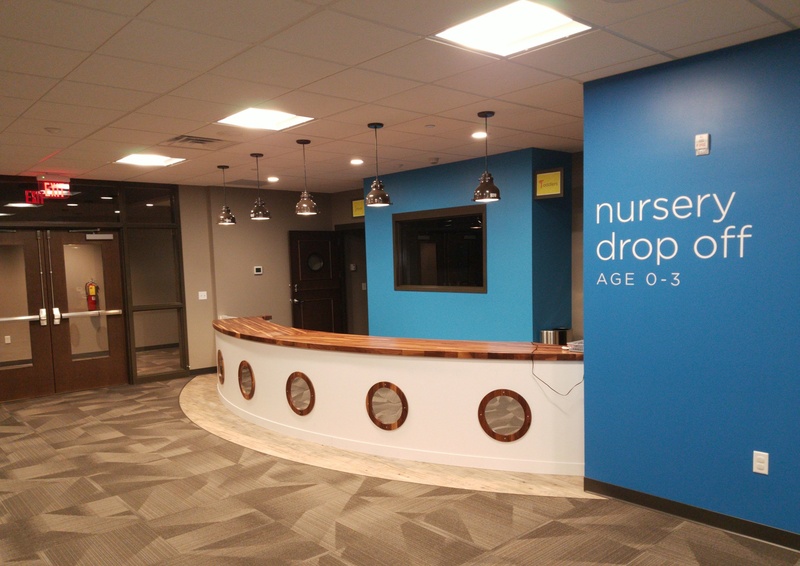 A new secure, centralized, and improved South Harbor Kids Ministry space includes check-in desks, nursery rooms, a large group room, sensory room, and family restrooms. 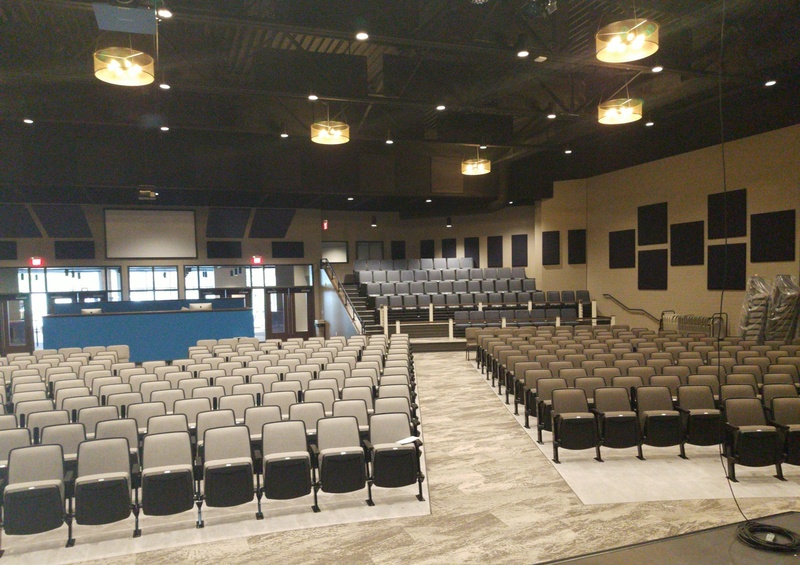 Renovation in the sanctuary features a lower platform arrangement, new audio, video, and lighting upgrades, and updated design finishes throughout the room. 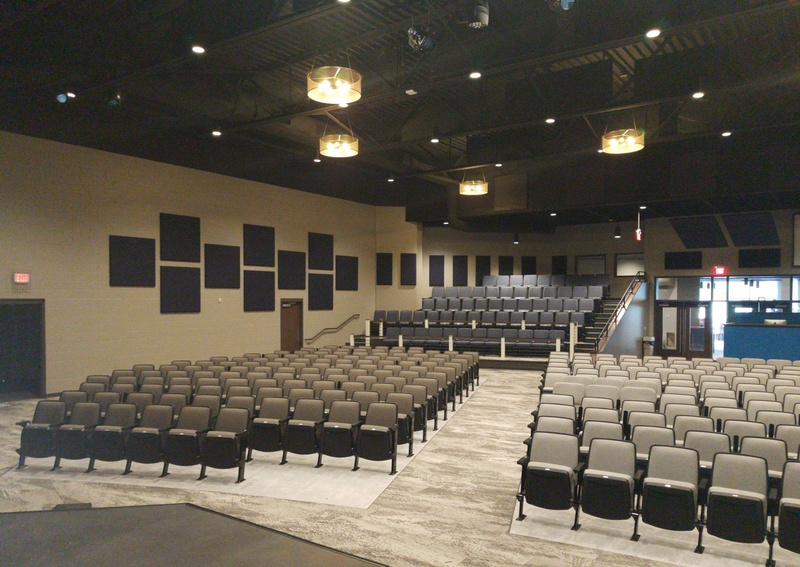 With space for 700 seats—a combination of theater seats, non-fixed chairs, and riser seating—South Harbor’s sanctuary is ideal for community-wide events. 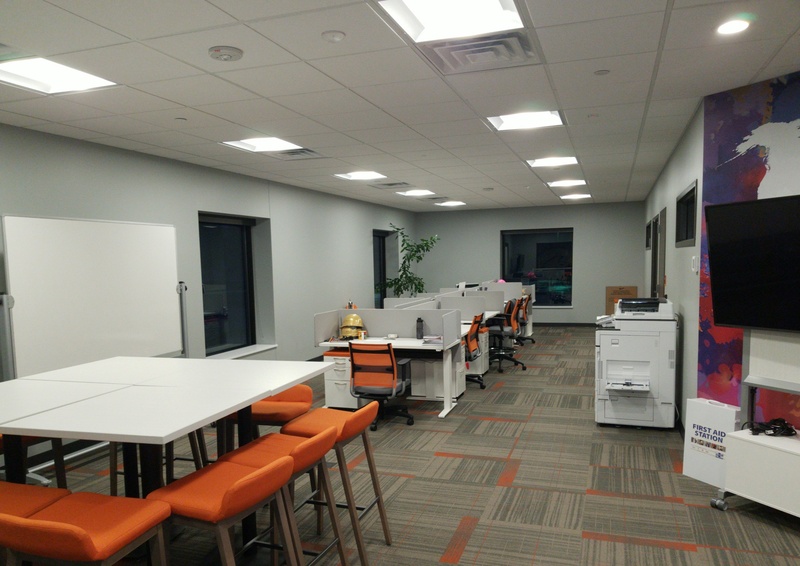 To accommodate the continual growth, the parking lot was also expanded.